Current Boston Red Sox starting pitcher Jon Lester and former closer Jonathan Papelbon routinely received Toradol injections, according to two articles by Gordon Edes in ESPNBoston.com. Now the team’s medical staff and management are reviewing its policy toward the use of Toradol, he writes. 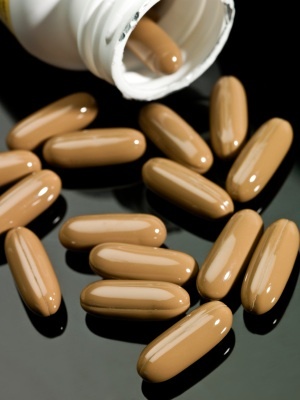 Toradol (ketorolac) is a stronger form of anti-inflammatory medication, like ibuprofen or naproxen. Toradol is a legal anti-inflammatory medication used in healthcare largely for post-surgical pain in hospitals. The drug is essentially a much stronger form of similar anti-inflammatory medications like ibuprofen or naproxen. It can be given orally or by intramuscular injection. Intramuscular injections of Toradol have generated increasing scrutiny in recent months, especially after claims that they are used in a “cattle call” fashion in professional football. The idea for using Toradol in sports is fairly straightforward. The player receives an injection from a doctor 15 to 30 minutes before a game. The medication decreases pain and inflammation that might occur over the next few hours. Toradol is simply an anti-inflammatory medication. It doesn’t treat an underlying injury that is causing the pain. It just decreases pain and swelling. And it does that job very well, which is largely why I think players like it. “I used it based on how I felt,” he said. “The days I felt bad, I took it. Maybe once a month. Papelbon went on to argue that Toradol’s use is common in many sports and not just baseball. I agree with Papelbon that use of Toradol is a common practice among professional athletes – at least in the major American sports. We have little data on its use in other sports, but it does appear to be common in professional football. A 2002 study in the journal The Physician and Sportsmedicine shows 28 NFL teams used intramuscular Toradol in 2001. Is the use of Toradol in professional sports dangerous? 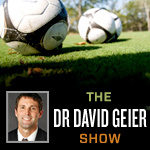 In the Zone segment from Episode 68 of The Dr. David Geier Show. This Red Sox announcement about concerns regarding Toradol use follows several high-profile instances that call into question its safety. Edes points out that Red Sox pitcher Clay Buchholz admitted that Toradol might have been a factor in his development of esophagitis. Buchholz reportedly was hospitalized and lost several units of blood with the condition. In January ABC news reported that former University of Southern California lineman Armond Armstead claims that Toradol injections might have caused a heart attack he suffered in 2010. Ken Belson of The New York Times reported that Toradol was a key point in the lawsuit of 12 former players against the NFL. They argued that injections were given to players in “cattle call” fashion to numb athletes and get them through games. The safety of Toradol is the aspect of its use with elite athletes that will likely cause most of us who serve as team doctors to cut back or stop using it at all. While one-time use likely won’t cause side effects in a majority of athletes, it still has the risk to do so. Stomach ulcers and other gastrointestinal issues are our biggest concerns. Cardiac events and even questions about bleeding around the brain in contact and collision sports have to be considered. Plus many physicians and teams will likely decrease or end their use of Toradol due to scrutiny from the media and public. While it is true that Toradol is just an anti-inflammatory, many fans might still see these injections as an effort by teams and their doctors to help athletes play at all costs. The Red Sox have raised awareness of the Toradol issue with this announcement. It will not be the last time baseball fans – or fans of other sports – hear about it. Note: The following post appears in a modified format as an article I wrote for Bleacher Report. Should MLB ban home plate collisions?